I use this in my baby's bath. It keeps their skin nourished and hydrated and doesn't dry it out like many of the other 'natural' baby products I have tried. I love this product and use it in my bath as well. Such a heavenly smell and feel. I've used other natural rose fragranced bath products but this is the best as it truly matches a rose fragrance. A deeply relaxing experience that is calming and cocooning. Soothes and harmonises the skin as a warm face compress. 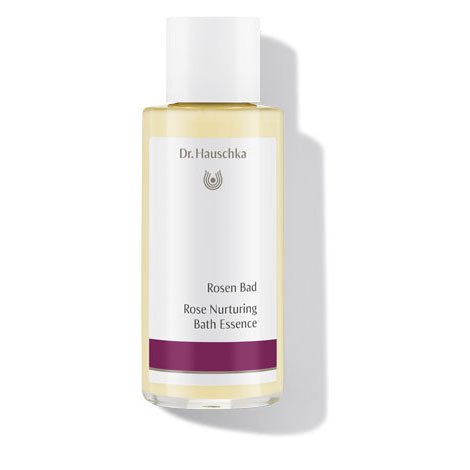 Dr. Hauschka Rose Nurturing Bath Essence is also wonderfully suited for infants and small children.